The first thing that comes top mind when I think about Glas Vapor is those perfume-like bottles that always caught my eye when browsing the e-liquid sections of online vape shops. I never actually got to try their Badge Collection or Crystal Series, so I didn’t get to hold one of those slick bottles in my hand, but I remember being intrigued about them. However, for its Basix Series, the Los Angeles-based company decided to go with standard unicorn bottles, packaged in large cardboard boxes. 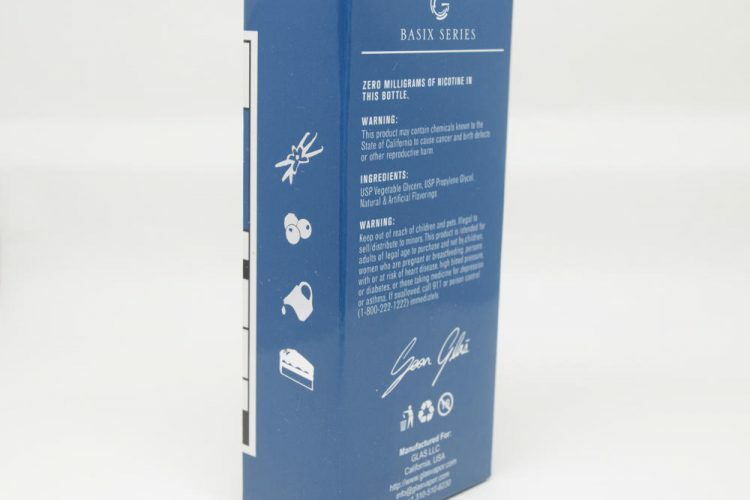 Now, these boxes that the e-liquid comes in may not look as elegant as Glas’ signature glass bottles, but they are very interesting. You basically have all the information about the juice presented to you through pictograms, star ratings and figures right on the front of the box. The flavor notes are all mentioned right off the bat, which is a big plus in my book, as some of the e-juice names these days can be confusing, the quantity – I received the 60ml bottles – nicotine concentration, and the percentage of VG/PG (all six flavors in the line are 70VG/30PG). The box also uses a star system to rate the vapor production, flavor strength and throat hit for each flavor. On the back of the box, you have the all the legal warnings, company information, and a list of ingredients. 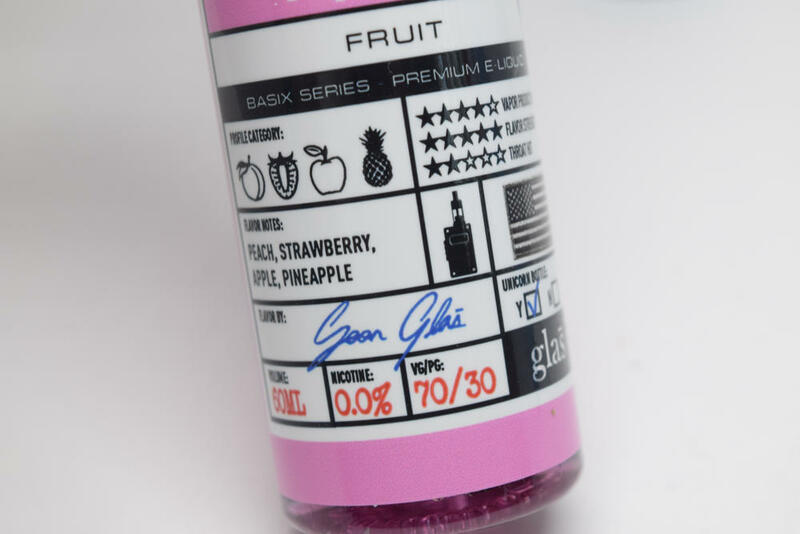 There’s also a signature of Glas Vapor founder, Sean Glas, who is apparently the mixologist behind all six Basix Series flavors. 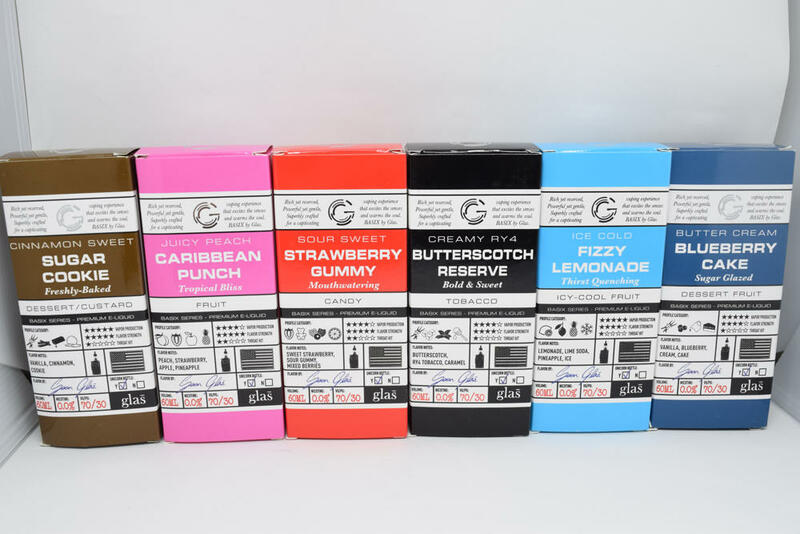 The labels on the plastic unicorn bottles are basically smaller versions of the boxes they come in, and they are all colored to match the flavor profiles of the concoctions they contain. For example, the fruity Caribbean Punch is pink, Blueberry Cake is blue, Sugar Cookie is brown, and so on. All the e-liquids I received for this review were 0mg/ml nicotine, so I won’t be able to talk about throat hit too much, although there was one menthol flavor that definitely packed a bit more punch than the rest. All the e-liquids were tested using two of my favorite RDAs, the Hellvapor Dead Rabbit and the VandyVape Phobia. I definitely suggest vaping them in drippers to get the most flavor out of them. 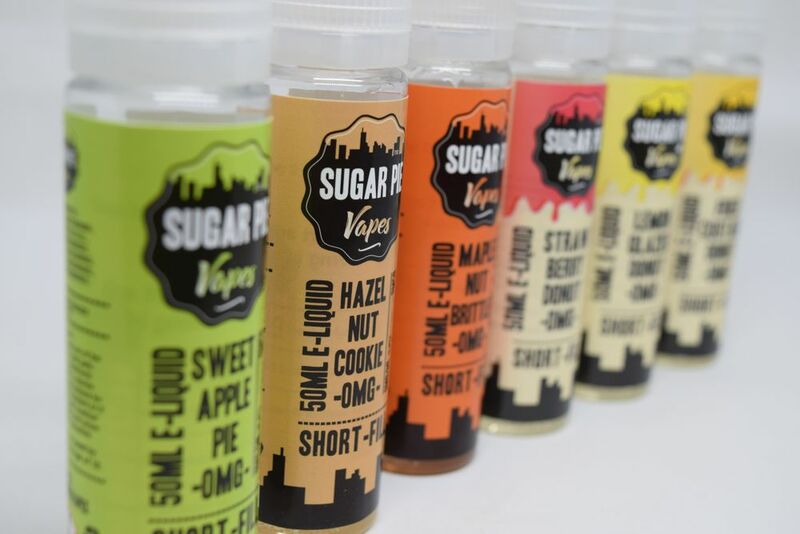 I’ve tried a lot of sugar cookie e-liquids over the years, most of them from premium brands, but also a few that I mixed myself, so you could say I have some experience with it. That said, the Basix Series Sugar Cookie is definitely in my top three best sugar cookie e-juices ever. This recipe is generally one of the simplest you can find on DIY e-liquid websites, but this particular blend is way better than anything I’ve ever cooked up. 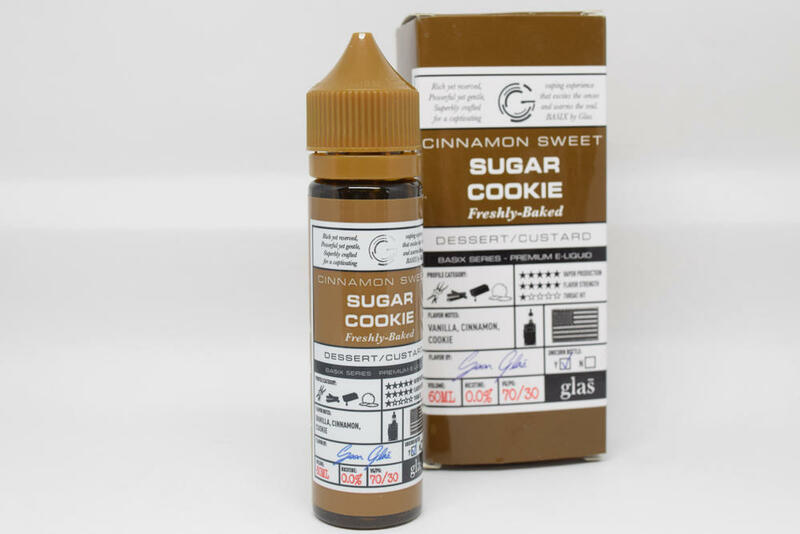 You get that buttery cookie dough flavor smothered in a generous dollop of caramel, and just the right amount of cinnamon to top it all off. I didn’t really get any nutmeg notes, but I couldn’t possibly list that as a con, as the juice is simply delicious just the way it is. 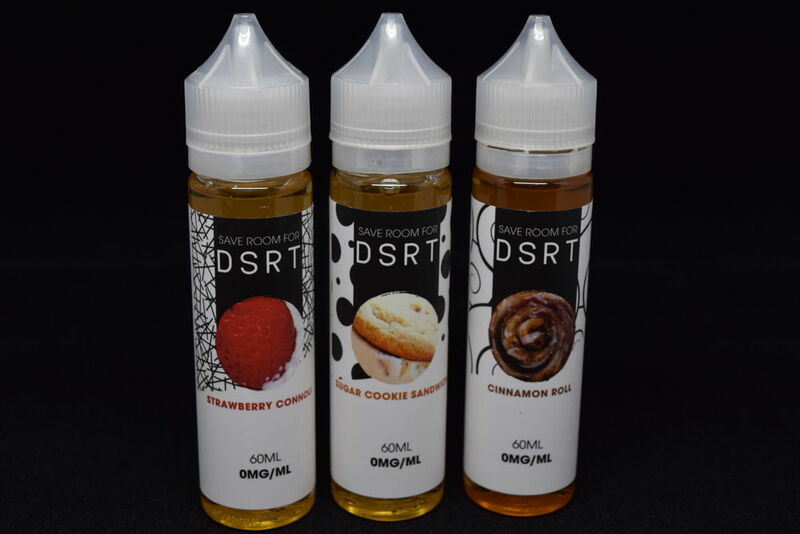 The taste is to die for, but keep in mind that this is a really sweet e-liquid, so if you’re not big on decadent dessert juices, this may not be for you. That sweetness really takes a toll on the cotton as well, so be prepared to change your wicks more often than usual. It’s definitely worth it, though. I really didn’t expect to see that description for one of the e-juices in the Basix Series. That’s quite the cocktail for what one would assume to be a basic fruit flavored e-liquid, but just like Sugar Cookie, Caribbean Punch will surprise your taste buds with several layers of fruity goodness. 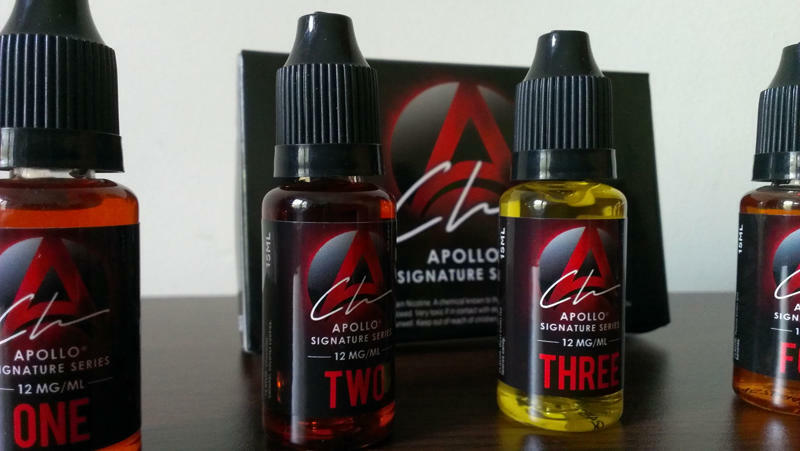 The main two notes I get vaping this juice are a ripe strawberry and a juicy peach. That’s on the inhale, because on the exhale, the pineapple starts to make its presence felt as well, and I guess I can say I taste the apricot as well, although it’s almost overpowered by the other fruit flavors. Same thing with the apple flavor, I’m sure it’s in there somewhere, but those strong strawberry and peach notes just won’s let it shine. 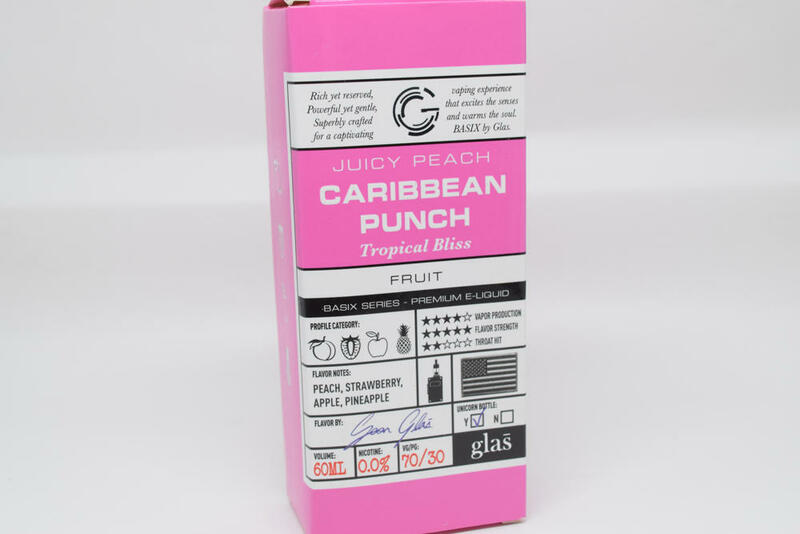 Caribbean Punch is less sweet than Sugar Cookie, but for a fruit e-juice, it’s actually pretty darn sweet. I for one like it that way. This was the flavor I was most excited to try out of the six e-liquids in the Basix Series. I’m just a sucker for berry desserts, and that official description just made my mouth water. Luckily, the juice itself didn’t disappoint. That fluffy vanilla cake was perfectly balanced out by the sweet, creamy blueberry filling and this juice easily found a place in my daily rotation. Unfortunately, that 60 ml bottle only lasted about a week, but I’m definitely planning to get some more soon. If you’re into fruit, particularly berry-flavored desserts with acreamy underone, I can’t recommend Blueberry Cake highly enough. Don’t let that “Basix” tag fool you, this is a layered, complex flavor that will knock your socks off. 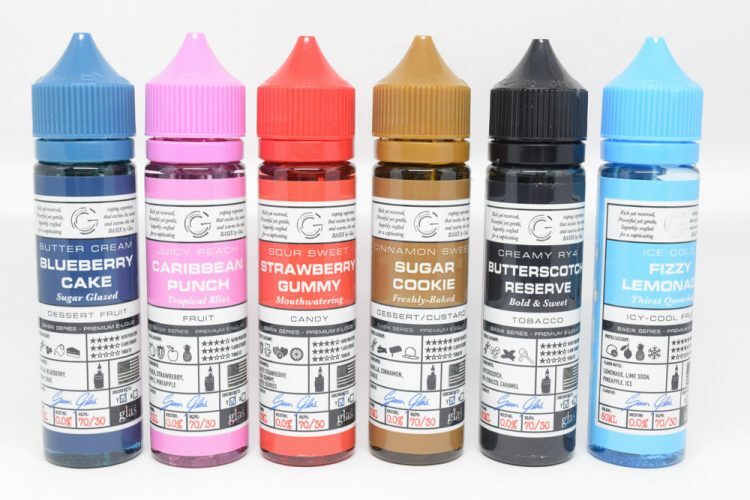 I’ve never really been a big fan of gummy vapes, simply because the ones I had tried never really tasted like gummies to me. Yes, they had a sweet, candy-like taste to them, but they were missing that ‘je ne sais quois’ that makes gummies special. So I didn’t really get my hopes up for Strawberry Gummies, but it ended up surprising me. I don’t know how the guys at Glas Vapor did it, but they got that characteristic sweet-and-sour taste of fruit gummies just right. The sweet and sour notes battle it out on the inhale, and on the exhale you’re left enjoying that candy strawberry taste. There’s also no artificial or chemical-like aftertaste to this juice, which is always a plus. If you’re into candy or fruit gummy flavors, you should definitely give Strawberry Gummy a try. 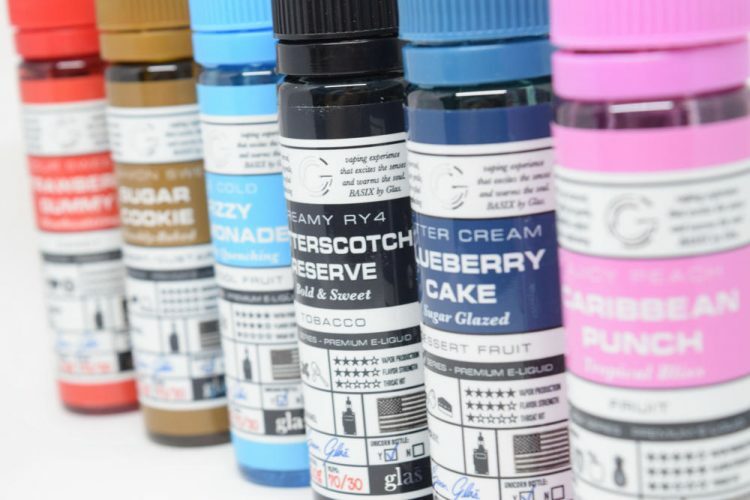 This is yet another impressive e-liquid in an already very impressive line. It’s a very realistic lemon-lime soda, with a cool menthol twist. I don’t really get the fizzy/carbonated side of it, but I get it sounds more interesting. Flavor wise-though, Fizzy Lemonade is spot on. The label also has pineapple listed as a flavor, but my taste buds didn’t pick it up. It’s all about lemon, lime and menthol with this juice, so if that’s what you’re into, give it a try. I intentionally left this e-juice last because I had a feeling I wasn’t going to like it as much as the other five. There’s nothing wrong with it, in fact I’m sure tobacco fans will actually enjoy it very much, but that’s just not me, not anymore anyway. There was a time, a few years ago when RY4 was among my favorite flavors, but I’ve just moved on to desserts and fruits, and it just doesn’t appeal to me anymore. 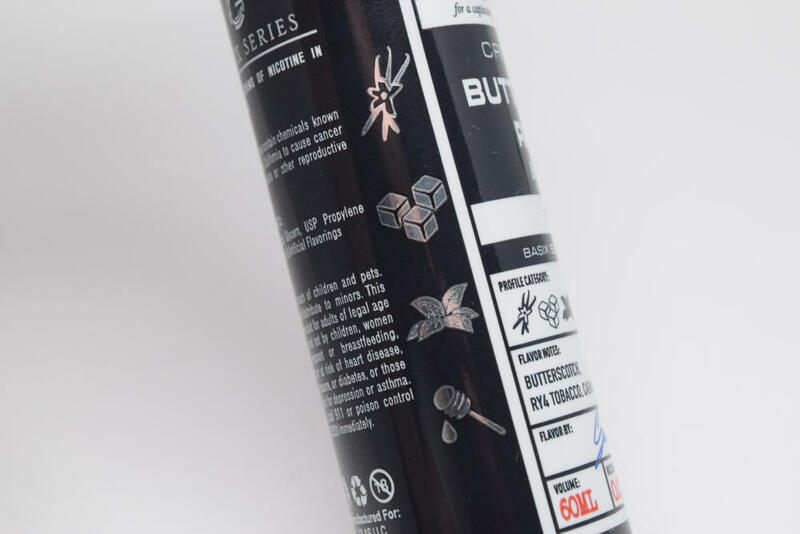 All I can say about Butterscitch Reserve is that it’s got that honey-like sweetness which complements the tobacco really well, although, again, it’s not really my kind of vape. The description on the box I think says it all – creamy RY4. All in all, I was very impressed with the Basix Series from Glas. I expected some simple, basic e-liquids and discovered some of the most interesting and most delicious e-liquids I’ve ever vaped. I would honestly recommend all six of them, even Butterscotch Reserve, because even though it wasn’t my type of vape, I can tell that it is a very complex, creamy tobacco juice. The Basix Series was sent to me directly from Glas Vapor for the purpose of this review.